Minister for Housing Eoghan Murphy has announced three initiatives, including a Government-backed mortgage scheme, for first-time buyers struggling to obtain finance. Under the schemes, a person or couple can borrow up to 90% of the value of a new, second-hand or self-build home to a maximum of €320,000 in the Greater Dublin area, Cork and Galway and up to €250,000 in the rest of the country. Borrowers will pay a fixed interest rate of 2% to 2.25% for 25 to 30 years. Income cannot exceed €50,000 for a single person or €75,000 for a couple. Speaking on RTÉ's Morning Ireland, Mr Murphy said the Rebuilding Ireland Home Loan scheme will take the risk out of mortgage loans because the rate will be fixed for the duration of the loan. He said many people, who might be turned down because of the "vagaries of the interest rate market", will be able to get loans. Mr Murphy said: "Because we are fixing the rate at a low rate and because we are fixing it for the lifetime of the product, that makes it more affordable, and potentially more prudent than the current rules that are there." More than €200 million has been set aside for the first tranche, Mr Murphy said, hopefully providing for around 1,000 loans. He said the fundamental problem of a lack of housing is being fixed. In addition to the loan scheme, he said, the proposals included an Affordable Purchase Scheme, allowing the State to use State land to build thousands of affordable homes. With local authorities providing the land at reduced or no cost to facilitate affordable homes, the price of the affordable house will be discounted and the State will retain an equity share in the house, relative to the discount from the full price. For example, a house that costs €250,000 may be made available to purchase at €200,000. Mr Murphy said he hoped that the first of the affordable homes would be built by the end of this year and said all of the trends showed that housing figures were moving in the right direction. He said local authorities were 8% short of their targets last year, but still built three times more homes than 2016. He added that there were ambitious targets for local authorities to provide more housing this year. There will also be an Affordable Rental Scheme, whereby rent paid covers the cost of building the property, together with ongoing management and maintenance charges, but with a minimal profit margin included. According to the Department of Housing this will "provide greater certainty around the rent, regardless of what is happening in the market". 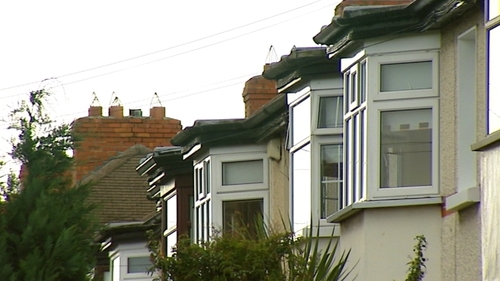 However, Sinn Féin's spokesperson on housing, Eoin Ó Broin, said the Government needs to focus on bringing down the cost of housing, rather than giving people more credit. Mr Ó Broin described the housing proposals as "very disappointing". He said the details were vague and that real targets, to increase affordable housing, need to be set and achieved. This, he said, would require State investment in council-led, affordable housing schemes built on public land. Mr Ó Broin said the State should be focused on investing in good quality homes instead of "cumbersome" schemes working with the private sector or loan facilities. "The real problem is it's going back to the old days of assisting people to buy overpriced housing rather than bringing the cost of housing down," Mr Ó Broin said. "So, I'm not convinced that the loan scheme is either anything new, or anything that's going to produce a significant benefit for first-time buyers." David Hall of the Irish Mortgage Holders Organisation has said the scheme does "absolutely nothing to put out the fire" and address the problem of supply. Speaking on RTÉ's Today with Sean O’Rourke, Mr Hall described the scheme as a decoy and distraction that does not take away from the fact that there are not enough properties. He said the Government needs to concentrate on building homes. Mr Hall added that the interest rate is an attractive one for a small cohort of people. However, he said the move does nothing for those sleeping rough, in emergency accommodation or facing increases in their mortgage rates. Meanwhile, Fianna Fáil's Spokesperson on Housing, Planning and Local Government Barry Cowen said he welcomes elements of the new scheme, saying it goes a little way to help and "you can't knock it", but it is only part of the solution and that "it doesn't do a whole lot". Mr Cowen said he welcomes Mr Murphy's efforts, but that the cost of construction needs to be tackled. Labour Party TD Jan O’Sullivan described the minister's announcement as a revamp of the existing scheme. She said what was needed was housing supply and that social and affordable housing should be built on the 700 sites that are owned or controlled by local authorities and public organisations. She also raised concerns that the Government-backed scheme could lead to price increases.